Despite regular brushing and flossing, you may find that your teeth eventually become discoloured and lose their natural radiance. 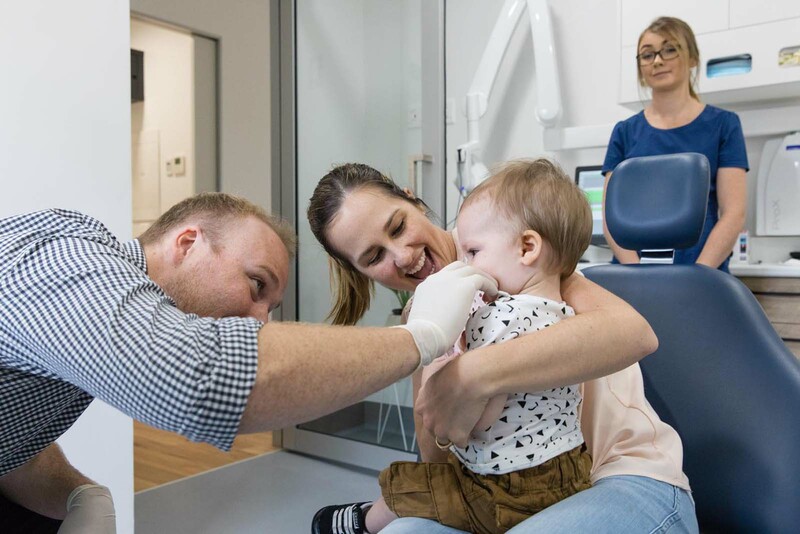 Visit Battery Hill Dental, your local Currimundi dentist, for help. Why do teeth get discoloured? While your diet is the most common cause of teeth discolouration, there are also other causes that change the colour of your teeth. Different causes can have different effects on your teeth. These are found on food and drinks like coffee, cola, wine, and berries. They can cause most if not all your teeth to equally turn yellow, brown or orange. Too much fluoride on your teeth, or fluorosis, can cause one or more of your teeth to have chalky white streaks or spots. As you age, your teeth can take on a yellowish or browning tinge as your enamel becomes thinner, making the darker dentin underneath show through. Depending on your genetic makeup, your teeth can have baseline colours ranging from a subtle blue-grey to yellowish to brown. Trauma to the teeth especially during childhood when they are just starting to develop, can turn teeth to grey or brown. Taking medication such as antibiotics, worn out dental restorations, and smoking can also cause discolouration on one or more teeth. Discoloured teeth can make you feel self-conscious or even embarrassed about your smile. At Battery Hill Dental, we’ll make sure that your teeth look and feel healthy. With our range of solutions for discoloured teeth, we have every procedure to address any cause for tooth discolouration. Check out our prices for teeth whitening solutions. Our dentists will make your teeth evenly white by removing stains and debris from your teeth’s surface so we can restore the shine and sparkle in your smile. We will cover your damaged tooth with thin, tooth-like pieces that are bonded to affected teeth to hide imperfections. We will whiten discoloured teeth from the inside out. We’ll do this by drilling a hole in each tooth, in which a small cotton pellet with bleaching agent will be inserted. Your teeth don’t just have to be healthy, they have to look healthy too. And this is where Battery Hill Dental’s top-of-the-line teeth whitening and bleaching services come in.